I had a conversation with another mother about the state of our country right now and how hard it has felt to stay connected to our humanity…to turn our sadness and anger into responsibility and social action, to not shut off, to keep showing up to parent our children mindfully. Closing the last few minutes of this week reading and sharing the latest Mother’s Quest Tales of our Humanity contribution, #3 of 52. It is a set of powerful reflections on the the E.P.I.C. 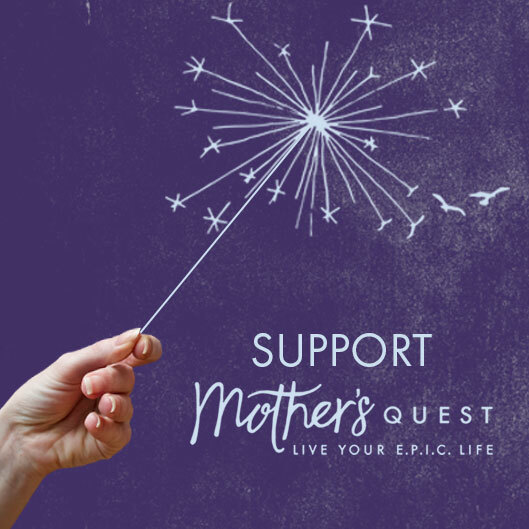 framework from podcast guest and Mother’s Quest Circle member Nancy Netherland, informed by the latest health challenge with her daughter Lala. I’m in constant awe of Nancy, Lala, and Lala’s sister, known as the “Commander.” Here’s to their courage, resiliency and positivity in the face of adversity. My ten year old Lala looked good today – happy, relaxed, and healthy – and I realized it’s been years since that I have seen her without her face drawn in pain or swollen from the steroids used to keep her illness at bay. 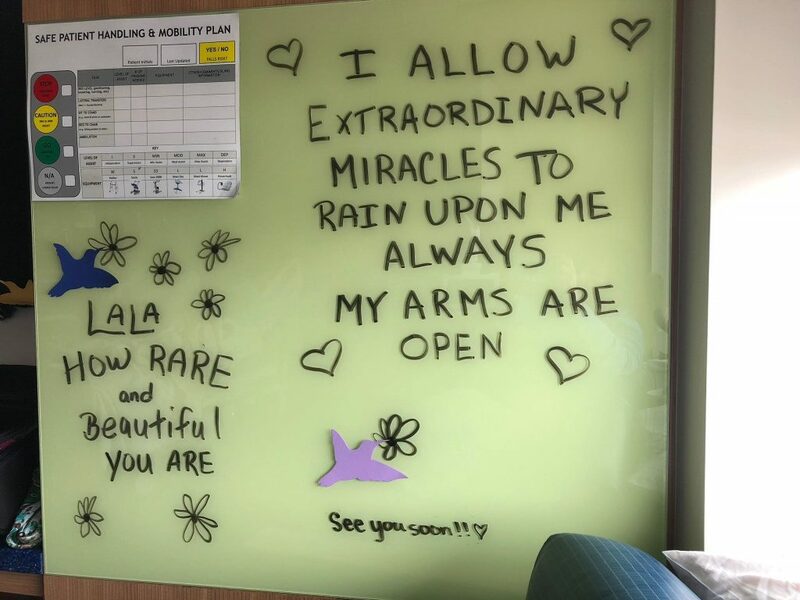 After a week in the hospital, an eventful and rough week, two weeks ago Lala began the infusions she will need for the rest of her life. It was with total delight I watched Lala play with her puppy and her sister in the backyard yesterday. And with even more joy I sent her and her sister off to play with friends at a local pool today. Lala has taught me to engage with the good moments, the people I love, and to the experiences matter. She has above all else taught me to be very much in the moment, to fully engage in each moment, and to remember that small moments cannot be taken for granted. Lala is a force of nature. 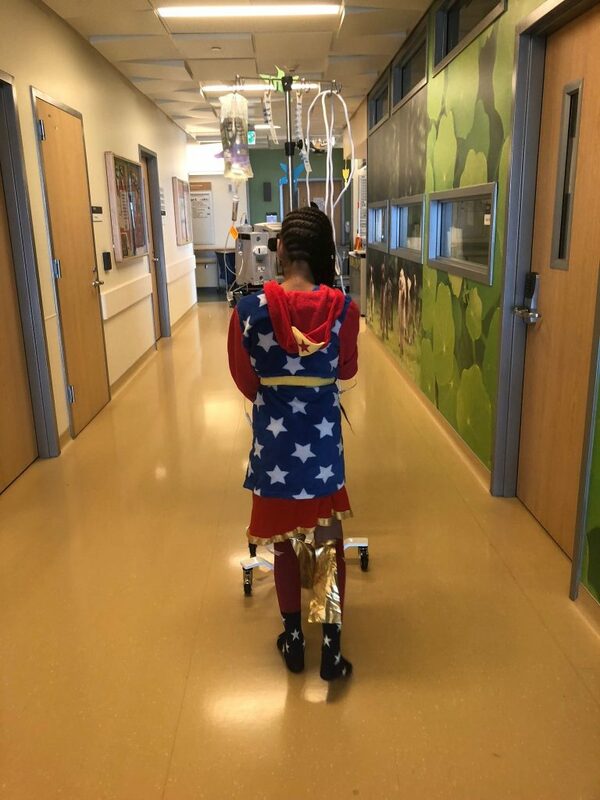 She is a fierce and funny ten year old with a wild mane of curly hair (half of which has fallen out the past few months) who wears formal party dresses and a wonder woman costume to her medical appointments and hospital admissions. She is fiercely and passionately committed to holding on to the magic of childhood and ensuring that her medical teams remember that she is above all else; a child. And because she often feels poorly, Lala has learned to do what matters. She is passionate about putting what she loves first. Lala has taught me everything about being passionate about prioritizing. I used to worry about pleasing other people, making sure my house was clean and organized, and that the dishes were done immediately after finishing a meal. Now, I regularly say “no” to family and friends and sit at the dinner table with dirty dishes and play card games with my girls. We as a family have all learned to live with the unknown of a rare disease and chronic pain. That has required an investment in new skills and new tools. “You are so zen and able to hold so much” – said the hospital attending to me after six of her staff had restrained a screaming Lala to insert an IV following a failed infusion, a blown vein, a second failed infusion, and a very long week in the hospital. Thirty minutes prior, I had led Lala through a guided meditation and breathing exercise to calm my child and myself as her medical team gathered around her bed at three-thirty in the morning for a final attempt to insert the IV my needle phobic daughter needed for health saving medications to drip into her veins. I had looked up to see four nurses and two doctors with one hand on their heart and the other on their lower bellies doing deep and measured breathing as I calmly talked us into a place of connection with calm breath. Because frankly, I didn’t know what else to do and “yoga breathing” sometimes helps Lala feel less frightened. As a family we have all learned new skills – meditation, guided imagery, yoga, and how to insert as many opportunities to play and experience joy as possible. 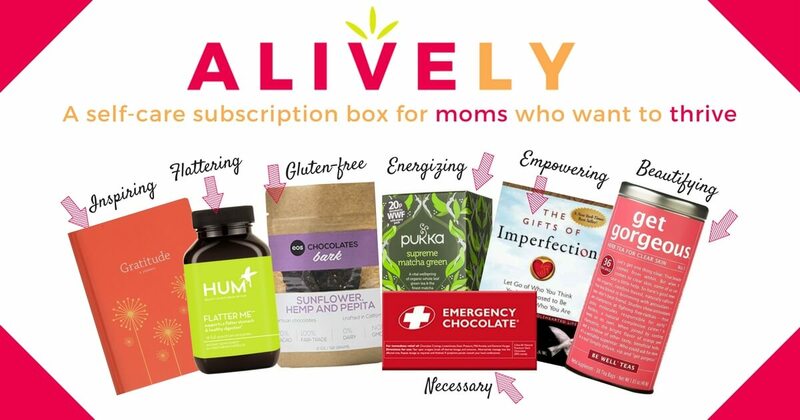 I have yet to find the “What to Expected When the Unexpected Happens…” resource that will instruct me on how to navigate parenting a child with a chronic and often debilitating illness. But through Lala I have learned to connect and to be embraced by, and to create, communities that nourish and nurture me and my family. I have learned these skills through and on behalf of my children. Lala is amazing at reaching out to her friends and making new ones. I recently watched her delightedly walk around the hospital with some young teens she had just met who also live with chronic illnesses and together they were talking about Instagram, infusions, and shared interests. Lala has taught me to reach out to my peers as well. Lala and I are part of a community of families that have a child living with a chronic illness. I am have also learned to embrace and leverage connections of all types – from a those networks needed for medical advocacy to those friends who help me figure out the what is next. Lala has taught me how to live an EPIC life as a mother. She has changed my life trajectory, taught me everything about faith, and shown me how to be engaged, live with passion, invest deeply, and connect. She has also gifted me with my next career: to advocate for caregiver wellness and pediatric medical settings that are trauma informed. 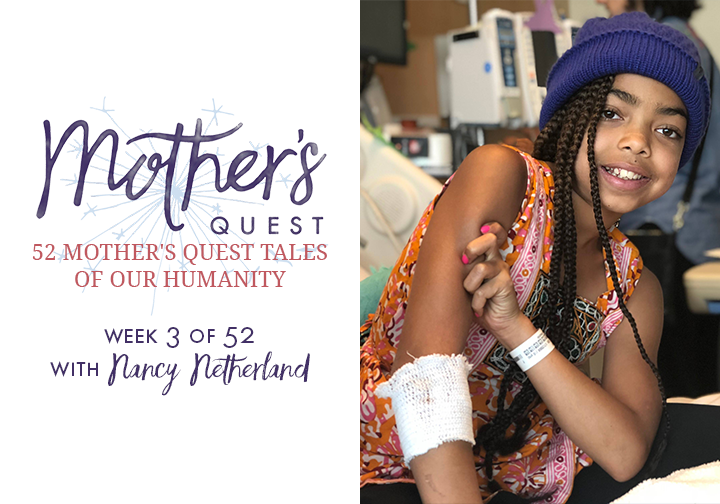 If you want to learn more about Nancy, her girls, and her work underway to help other families, check out the comment below for the link to the show notes from our episode on the podcast, with all the ways to follow her. The focus of a recent episode on the podcast with my son Ryan was about honoring the milestones in our lives. I’ve learned that when we’re moving through these periods of transition, it can be so powerful to slow down and reflect on our experience. 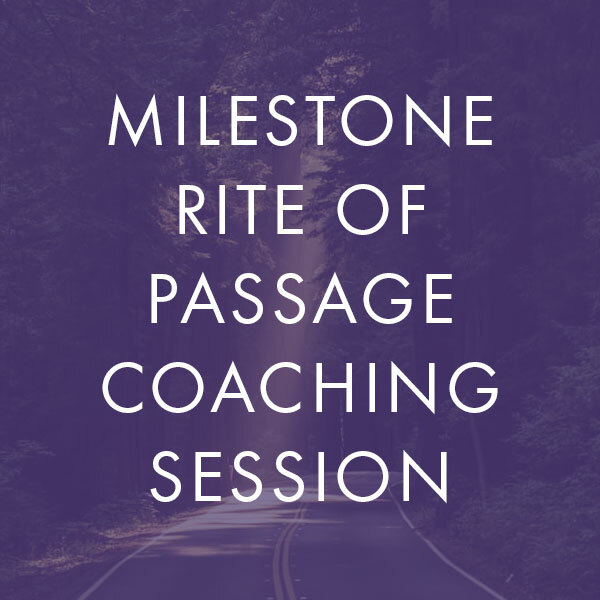 If you’re on the verge of a new chapter, or your child is as we approach the new school year, and would like coaching to cross the threshold thoughtfully, email me at julie@mothersquest.com to find out more about my Milestone Rite of Passage Coaching Session. 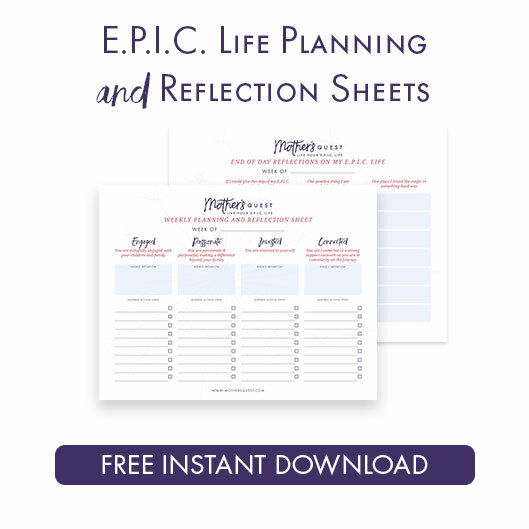 I’d love to help you gather your lessons learned and clarify your vision for what’s ahead. 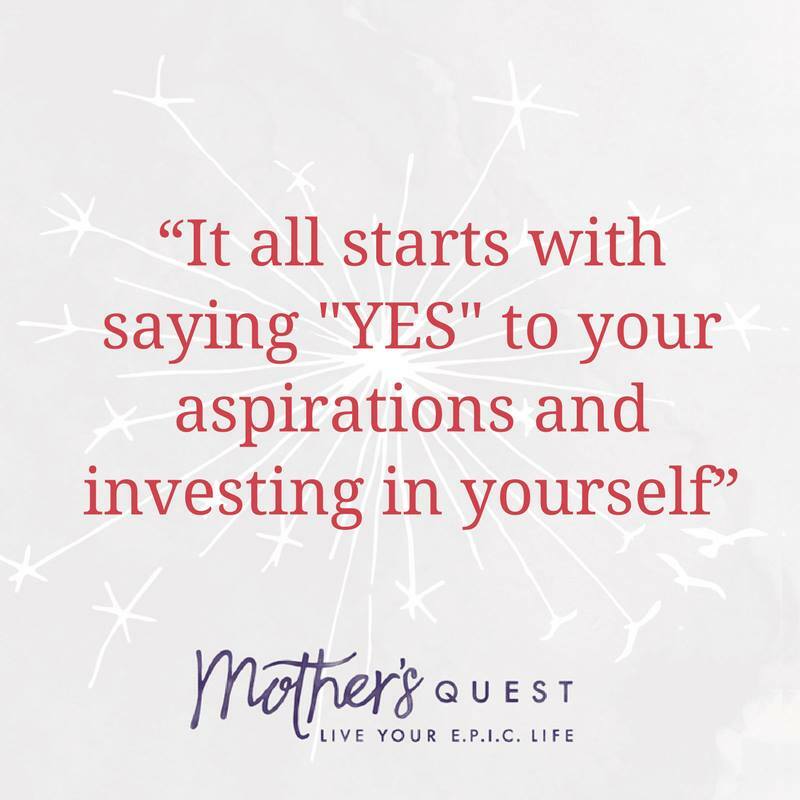 When we do this for ourselves, we can be powerful guides for our children!